which after more than 5 years of hard love has stopped working. i don't usually get real emotional feelings for my tools or material objects. but after using this computer every day for the last five years i am sad to see it go. it was one of the first of the titanium powerbooks from back in february 2001. i ordered it the day they were announced. i spent just under $4000 on the computer and another $1000 on accessories including $400 on an airport base station. i had a well paying full time job and well paying freelance job at the time, both involving computers so it seemed worth it. now i can't imagine spending that much on anything, now i am too cheap to replace my broken keyboard and just move my one keyboard from my studio computer to my home computer. less than one inch thick! but my powerbook was awesome back in 2001. i could watch DVD's in bed, i could get rid of my giant desktop computer and i was the first person i knew to have wireless in their home. and none of my friends could understand it, why would i want to be able to use my laptop on my couch when my desk was only ten feet away in my New York apartment. but then they would come see me doing work on my couch and they understood it was fantastic. 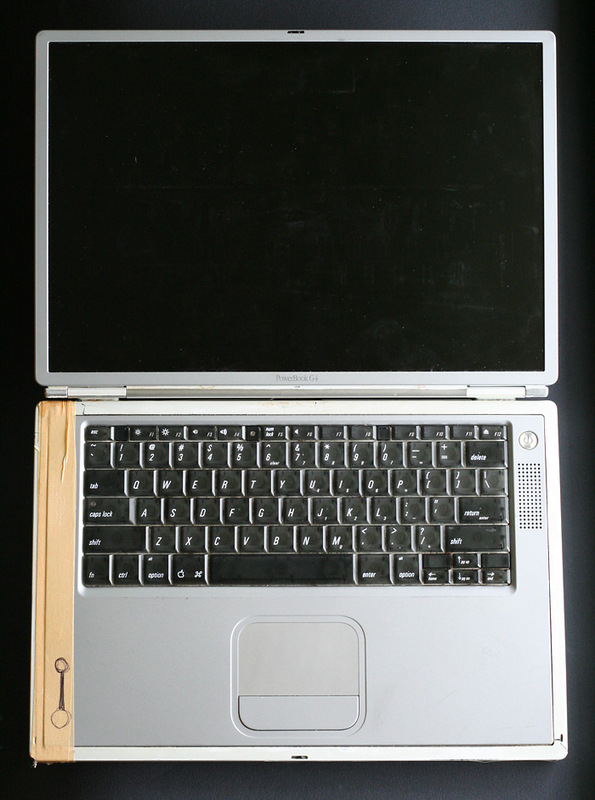 i ended up spending many days on my couch with my powerbook because a couple days after i got the notice that the powerbook had shipped from hong kong, i lost both of my well paying jobs. i decided to keep the powerbook anyways. the track pad got so worn down and slick that i was the only one who could use it. my fingers had developed a symbiotic relationship with the track pad. 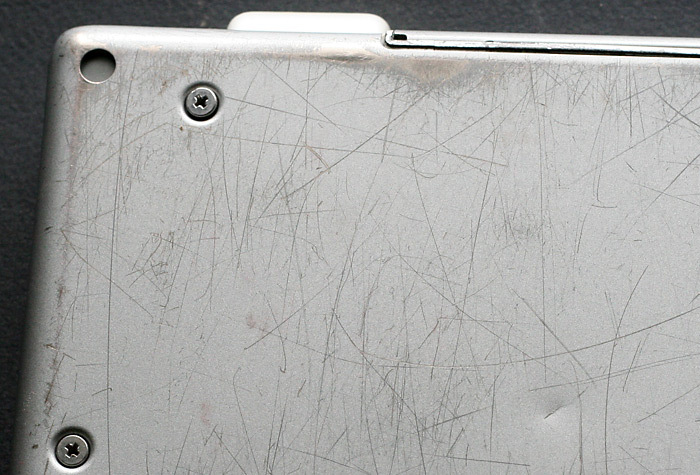 for about two years i drew all explodingdog pictures on my powerbook. the computer went everywhere with me. it was pretty cool when flying, because when i flew with my nice shinny new expensive computer i got to meet and talk to all types of business men i would have never met during my days of making stick figure art. but later on when flying with a powerbook that is taped together no one really talks to you. the dvd drive has not worked for a while but if you put a disc in it makes a nice grinding noise. this computer has died many times. each time being declared permanently dead by an expert. only to start working again. i also went through more power cords than i can count. when at home using my powerbook i would sit in a recliner and i made a habit of clipping the power cord in two with the reclining mechanism. 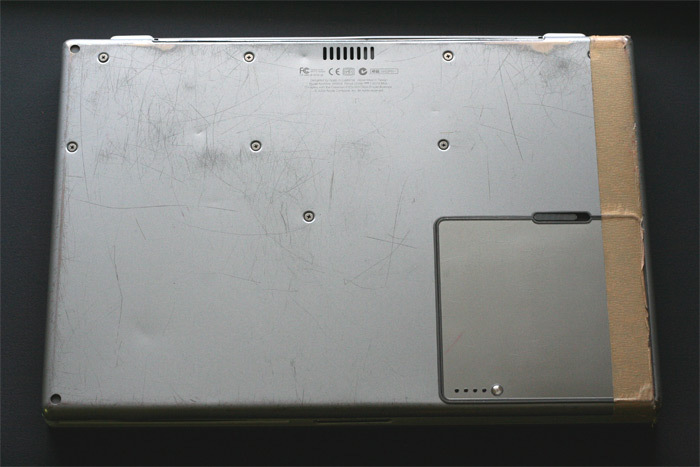 last fall it got to the point where i thought that my powerbook had finally died for good. so i went to the apple store to purchase a new computer. only to get home and find out that the powerbook still worked. it just took it an hour or more to turn on once you hit the power button. so after that i was very careful about turning it off. then a few months later it began turning it self off at random. which is quite irritating when it takes an hour to start up. i knew the end was near, so i backed up everything and a week later it stopped turning on for good. i have probably owned ten or more computers in my life and none of them were that special. they would just come and go. i never made a web page for those computers. 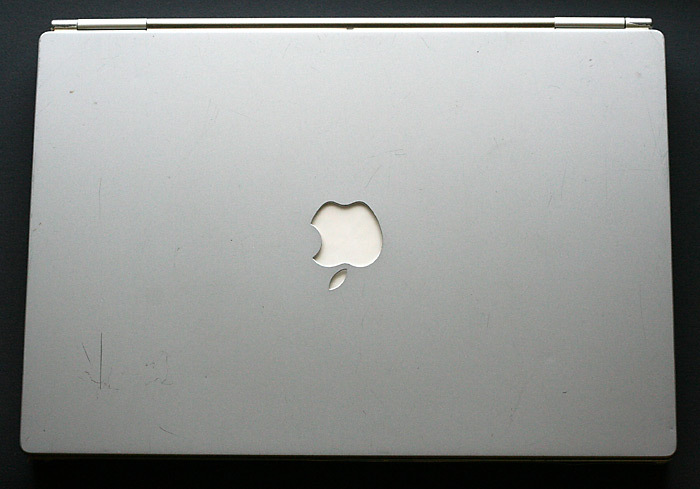 i could probably list a hundred reasons why my powerbook was so cool. and i know i sound like an idiot. but it was a cool computer. 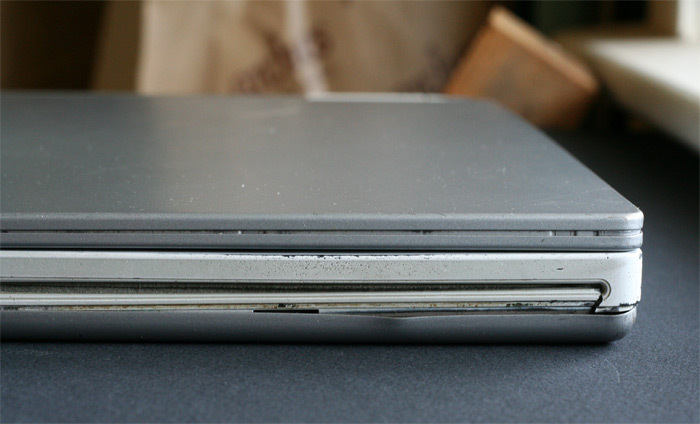 i guess now it is time to recycle the powerbook and get a new one. but now a new laptop would be more of a luxury than a necessity. 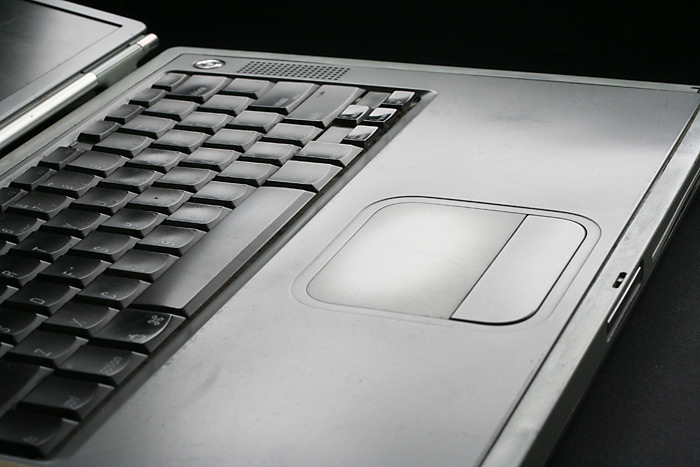 apple's new laptops are cool but they are not as cool. so it won't be replaced for a while.